Semi Custom home in Freeports newest community Lafayette Creek Landing. The home features 2,123 square feet of Living space with three bedrooms three baths and an office. The home features 2 x 6 framing on all exterior walls, Granite counter tops in the Kitchen and Baths. 10' Ceilings throughout. Therma-tru exterior doors with built in blinds, Solid Core interior doors, insulated garage with 8'x 16' door, Engineered hardwood floors in the main living area and bedrooms, Tile in the bathrooms and wet areas and Tiled walk in shower and garden tub in the master bath. The neighborhood will be gated and will offer a neighborhood Pool and Clubhouse along with a canoe or kayak drop in Lafayette Creek. 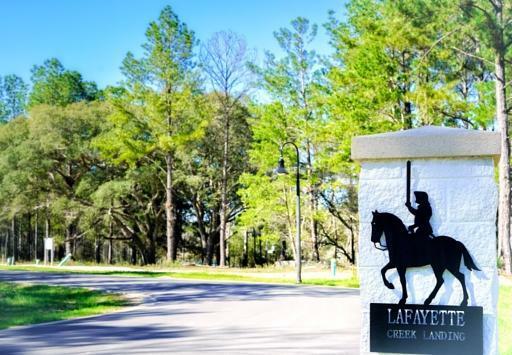 Owners in Lafayette Creek Landing will also have access to fishing in the neighborhood lake. Allof this within walking distance to Publix Grocery Store and several shops and restaurants. With only a total of 148 Home sites with homes ranging from 1,500 sq. ft. up to 2,700 sq. ft. this will be a quaint community.